If your small business has green practices, you should be marketing to the environmentalists in your community. When it comes down to choosing a company to patronize, many environmentally conscious consumers will choose a business that takes steps to be eco-friendly over a competitor. 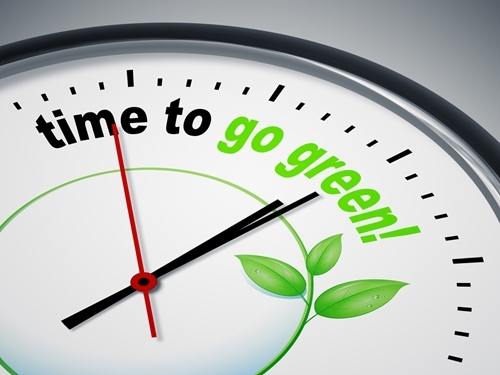 All Business noted that 70 percent of consumers will choose a green product if it is readily available. If you want to build brand awareness with environmentalists in your community, consider using these eco-friendly tactics and promotional products. One way to market to individuals who are green at heart is to help educate the community about the benefits of eco-friendly practices. You can do this on your website, via social media or in person. All Business recommended having a small blurb about your company’s eco-friendly practices and the long-term environmental benefits on your homepage or in a newsletter. You could also give away 12 Oz. The Spooner Custom Oval Mugs with a pamphlet on green practices to customers, like avoiding the use of plastic utensils. By educating the community, you’re increasing the chance that people will look for eco-friendly products and services in the future. You can also host social media giveaways featuring green products. One popular option is to give away branded reusable water bottles. According to the Water Project, more than 80 percent of single-use plastic bottles become litter. By using a 28 Oz. Cool Gear® Subzero Promo Bottle or 30 Oz. Cool Gear Pure Bottle with Filter, individuals can reduce pollution and help to keep water bottles out of landfills. Post to social media asking followers how they protect the environment, then give promotional water bottles to the people with the best responses. This will build brand awareness and encourage community members to go green! Finally, hosting an eco-friendly event or participating in a community green festival is a great way to target environmentalists. If you want to plan your own event, the Tuft’s University Office of Sustainability suggested taking into account the water and energy you’ll use and the waste you’ll produce. An influential green event has minimal environmental impact, supports the local economy and promotes eco-friendly actions within the community. Some ideas are to use electronic invitations to save paper, have a water cooler instead of individual bottles and serve locally grown food. Don’t forget to order Enviro Shopper Tote Bags to give away. They’re made from recycled materials and are handy for carrying groceries or supplies.